NoMad, also known as Madison Square North, is a neighborhood centered on the Madison Square North Historic District in the borough of Manhattan in New York City. 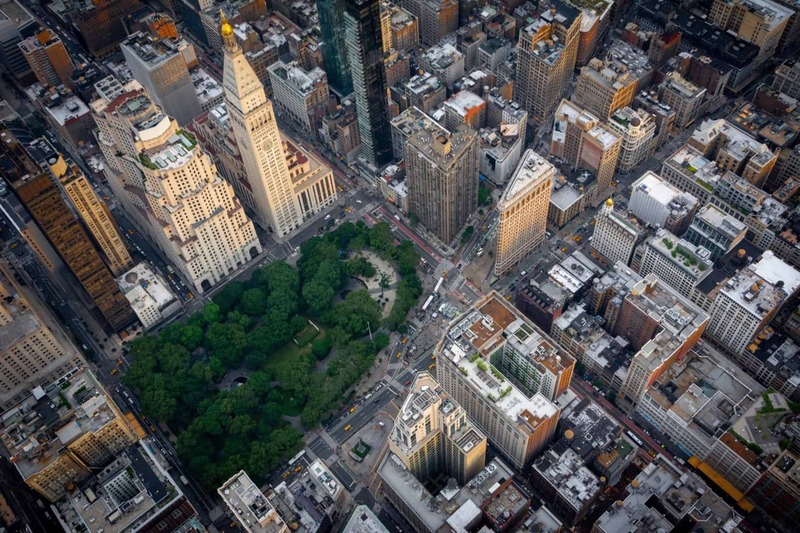 The name NoMad, which has been in use since 1999, is derived from the area’s location north of Madison Square Park. 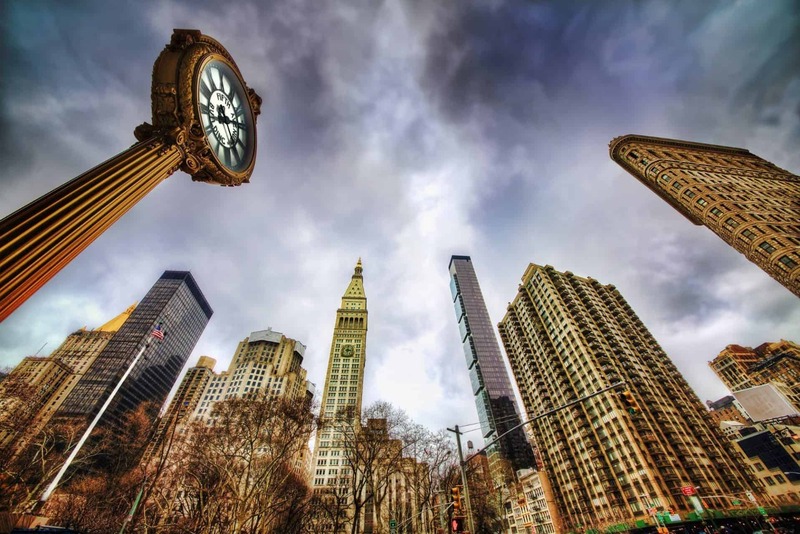 The neighborhood is bordered by East 25th Street to the south, East 29th or East 30th Street to the north, Sixth Avenue(Avenue of the Americas) to the west and Madison or Lexington Avenue to the east. 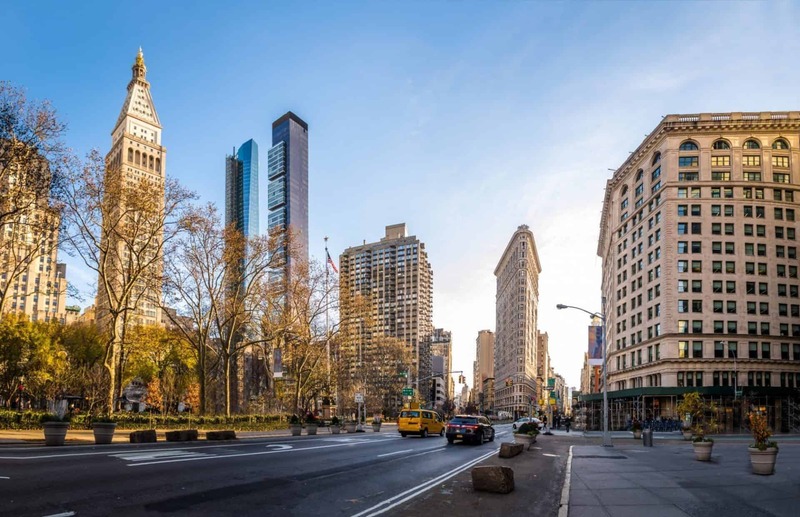 The surrounding neighborhoods are Chelsea to the west, Midtown South to the northwest, Murray Hill to the northeast, Rose Hill to the east, and the Flatiron Districtto the south. NoMad is part of New York City’s Manhattan Community Board 5. Up-and-coming NoMad, once known for the cluster of wholesale stores along busy Broadway, is now a hotbed of luxury condo buildings. Anchored by an increasing number of posh hotels, the area has a high concentration of trendy bars, lounges and restaurants. Weeknights are lively with after-work crowds from the nearby Flatiron District and elsewhere. Tourists and locals find a calmer scene on weekends. The neighborhood was once the home of Delmonico’s, New York elite society’s favorite restaurant and the birthplace of Lobster Newburg. Today it has a numerous restaurants serving a wide range of cuisines, including San Rocco, Hill Country Barbecue, Bamiyan Afghan Restaurant, Antique Cafe, SD26, A Voce, Country, Ben & Jack’s Steakhouse and Illi. Eataly, a 44,000-square-foot Italian food market comprising Italian restaurants, cafes and wine and food shops opened in Summer 2010. 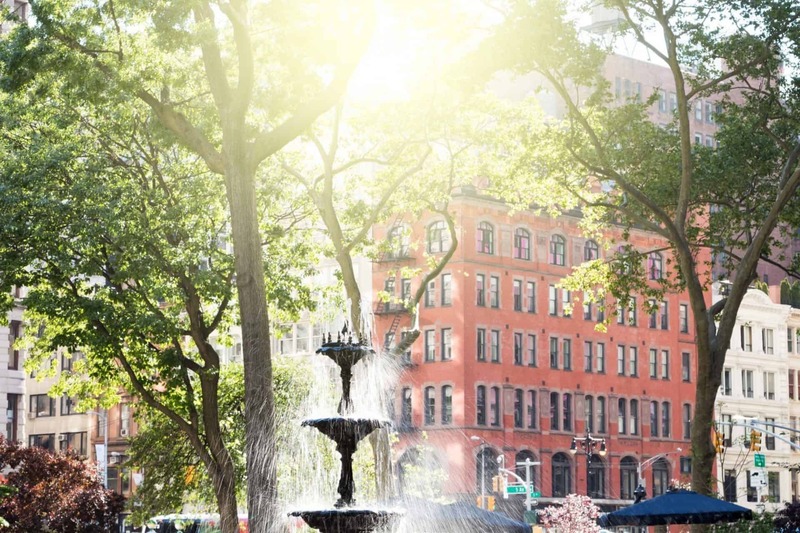 NoMad’s early history is closely aligned with that of Madison Square Park, which has been a public space since 1686. 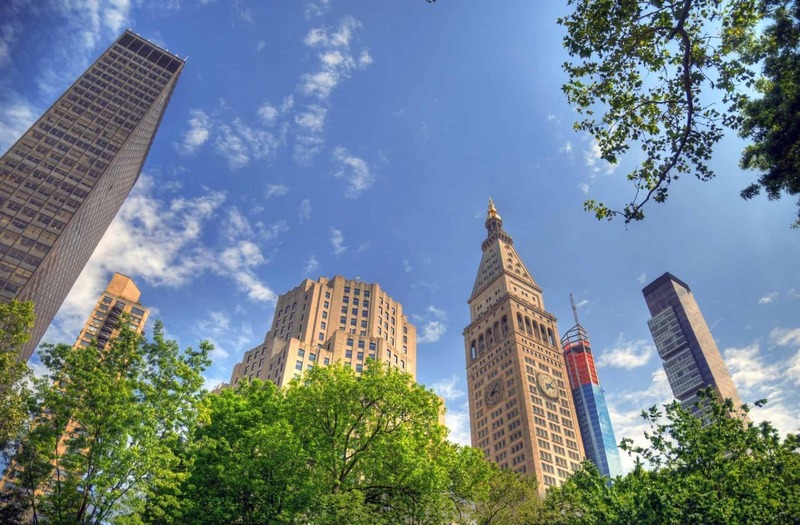 The park extends from Fifth Avenue to Madison Avenue between 23rd and 26th Streets. Formerly a military parade ground that to this day serves as the starting point for the city’s annual Veterans Day Parade, Madison Square Park and the surrounding area have undergone a number of changes since pre-Revolutionary War days, serving at various times as a potter’s field, an army arsenaland a facility for juvenile delinquents. 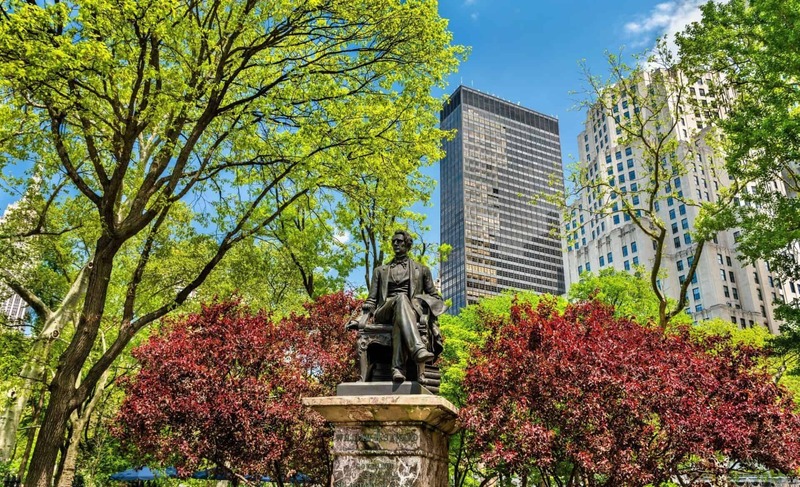 New Yorkers began establishing residences around the park in the mid-nineteenth century. Private brownstone dwellings and mansions springing up around the perimeter of the park soon boasted such respected, well-to-do families as the Haights, Stokeses, Scheifflins, Wolfes, and Barlows. Leonard and Clara Jerome, the grandparents of Winston Churchill, lived at 41 East 26th Street. The Jerome Mansion later became the clubhouse of the Union League Club of New York (its second location), the University Club and, finally, the Manhattan Club, birthplace of the Manhattan cocktail and congregating place of such famous Democrats as Franklin D. Roosevelt, Grover Cleveland and Al Smith. The mansion was demolished in 1967 and was replaced in 1974 by the New York Merchandise Mart, which also extends onto the site of the adjacent Madison Square Hotel, where actors Henry Fonda and James Stewart roomed in the 1930s. The famous families in the area nurtured the spiritual life of the neighborhood, founding such landmark houses of worship as the Church of the Transfiguration (the “Little Church Around the Corner”), Trinity Chapel (site of the wedding between writer Edith Newbold Jones and Edward Wharton and now the home of the Serbian Orthodox Cathedral of Saint Sava) and Marble Collegiate Church. Buying in the NoMad Neighborhood? If you’re thinking of buying in the NoMad area, our foremost goal is to provide you with exceptional customer service. Our goals are to help you purchase the right home, make sure you don’t miss out on any homes that meet your needs and make sure you don’t pay too much for your next home. Please utilize our New York real estate expertise to make your home search and buying experience as stress-free and rewarding as possible. Selling in the NoMad Neighborhood? We utilize the latest, cutting-edge, real estate marketing tools to expose your NoMad property to the widest range of potential buyers. We are here to get your house aggressively marketed to sell as quickly as possible and for the best price! Our goals are to help you get your NoMad home sold, put you in the strongest negotiating position as possible, and to make it easier for you and reduce surprises.